Whenever we use the term “mass”, we must ask ourselves as to what specific purpose is the term being applied for. Or does it go on to convey and reflect a positive meaning or tone or is it simply meant for berating an existing logic, pattern or situation. A simple, four letter word that carries huge purpose and significance representing sheer quantity, the word is declining away from our everyday language and parlance of urban living, especially in big urban and metropolitan cities, while it still holds tremendous value to economists and behavioral theorists. Usually the term is associated to represent the significance of commonality over exuberance or stuff meant for a specific few. We usually, in India, associate mass in a number of ways that unfortunately today, stand true for addressing certain anomalies in our system rather than addressing some great qualities. Mass population, mass hunger strike, there are many words that ring an unappealing tone. But, let us not forget the significance of the word mass in the world of transportation and commuting, where it has had a great meaning, signifying a common solution towards the growing epidemic concerned with transportation and traveling. We are a billion plus economy, growing at a staggering rate, locking horns with the other developed economies of the world and swiftly beginning to grasp international attention for our proven exploits in divergent fields like Software and IT, Manufacturing and Logistics, Education and Engineering. In such times, there have been changes at multiple levels that have out-turned rising competition from the Chinese economy and that of the other part of the world catapulting India towards the position of a world leading economy. Amongst this fleeting tide of changes, we have completely changed the way we travel and connect with the rest of the part of the world, including bringing about a sea change in “Mass transportation”. You can simply name the vast number of both national and international automobile brands that are growing in India, on an everyday basis. 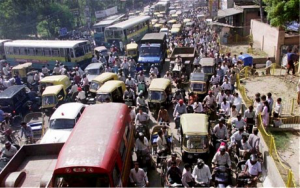 The rate of increase in the sheer car mass on Indian roads on account of rise in car brands is reaching a cataclysmic rate, where there is huge disconnection between the available road space meant for passenger navigation therefore, causing great immovability. 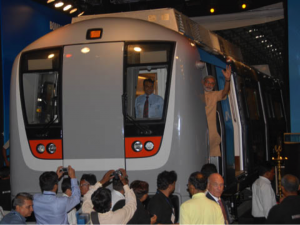 We are after all an open trade and liberalized economy so at some point of time, owing to population explosion coupled with an increase in the purchasing power of general public the crippling of civil transportation was in some ways an expected phenomenon. Today, it is no easy day commuting to work and fro using mass transport in India. Buses are overcrowded and cars are stuck in never ending jams. 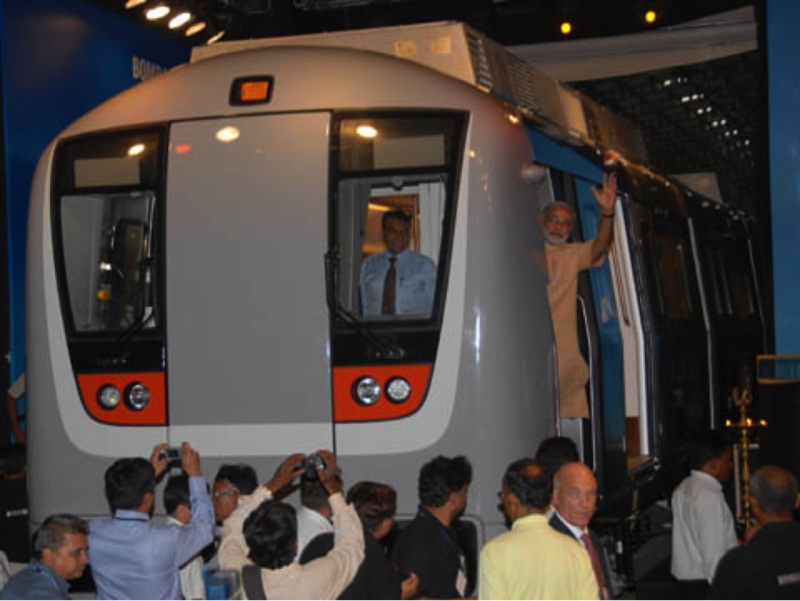 In these times, the metro rail has emerged as the new heart-line of India bringing about a sea change in the way we move about and travel. Figures from the Central Road Research Institute suggest that as many as 3.5 lakh cars are being wiped out from Indian roads on account of increasing usage of metro, that have curtailed the overall demand for fuel by as much as 1200 crores, annually. 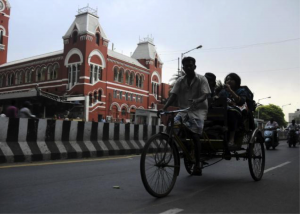 Right from the beginning of 1900s, long before India had seen an adoption of that thing called Motor car and nearly a light age before the frequent use of metro rail, there was a growing phenomenon concerning everyday lives of Indians. 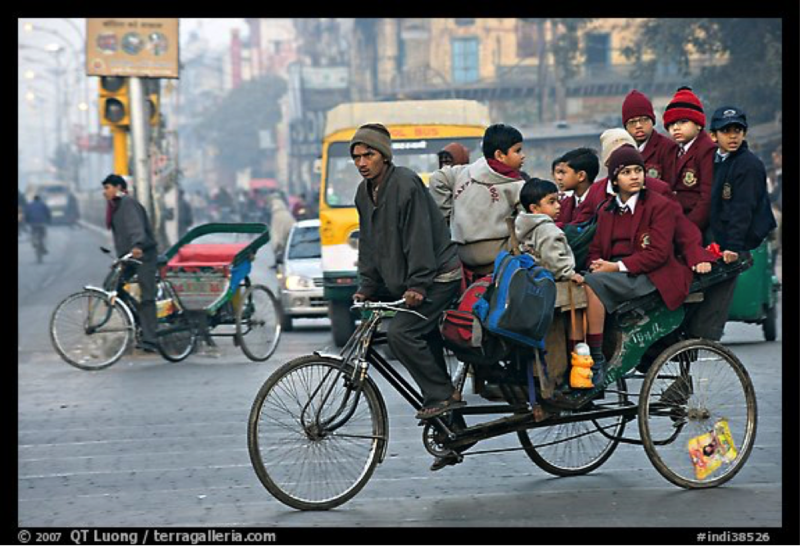 It was simply known as a cycle rickshaw. An underlining sense of its ubiquity and everyday purpose commanded the Indian cycle rickshaw as the main-frame of Indian transportation scenario. 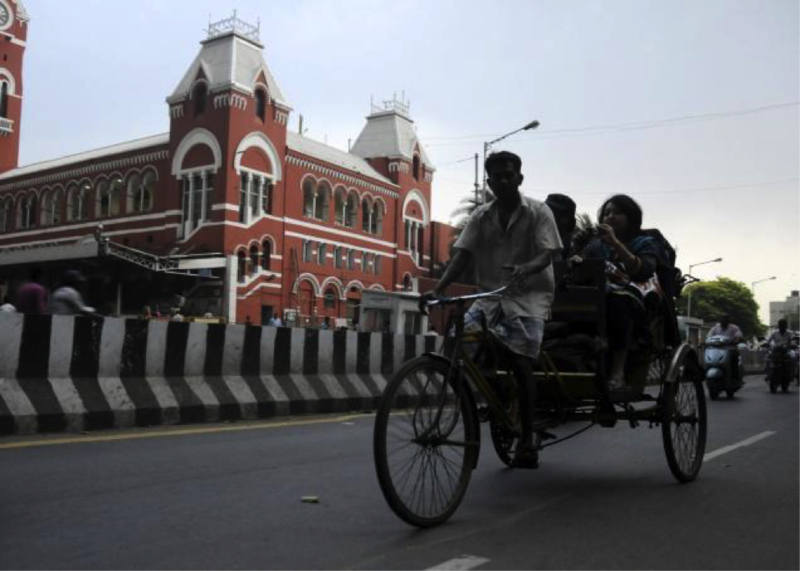 Being used even today, but in parts, in different cities having not surprisingly matched the speed of the other fast paced means of traveling and transportation, the cycle rickshaws were the central pivot around which Indian mass transportation revolved. The cycle rickshaws were the most dependable, affordable and simplest of means of our transportation and were fondly regarded as the bulk carriers of both the passenger and the luggage. The nose wheel would turn acutely in the direction the passenger wanted the rickshaw to go, towards the flight of the traveler’s dreams. Under the supreme manual effort of the rickshaw driver, it was an important constituent of an entire family’s income whose life depended on the energy and physicality applied by that tireless rider of the 3 wheeled cavalcades. 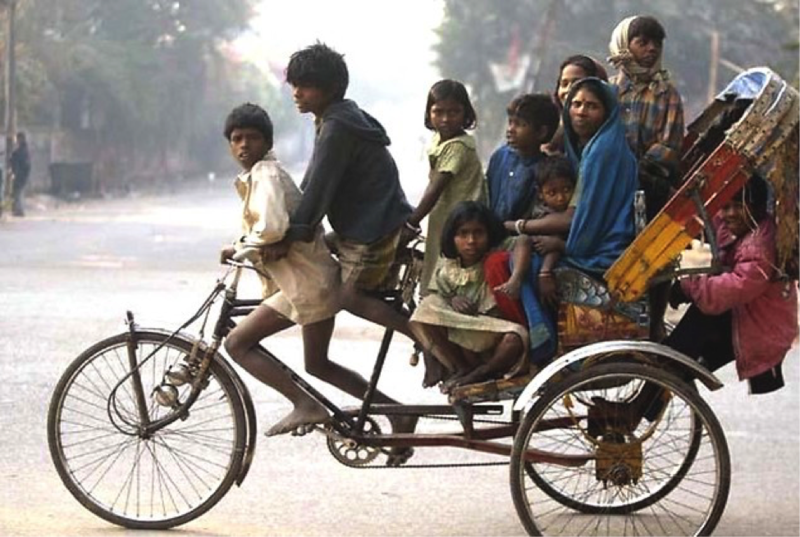 It would be an unfair condemnation of the much important metro rail and buses to suggest that with their popularity came about the downfall of the cycle rickshaws. But, whichever way you look, you will find that the sheer number of cycle rickshaws that once boomeranged Indian roads going from a corner to another, reducing physical boundaries and geographical distances by outpouring sweat and tough manual labor, are a depleted force in motion today. While it isn’t just to credit metro rail and the rising need of Indian public that travels on them with the fall in the use of the rickshaw, it is simply evident that rickshaws are a secondary source today as far as shouldering the responsibility of our billion plus population goes. Romancing the attractive beauty within the college campus, or rushing the poor lady in labor to the nearest hospital, the rickshaw was once the definite force in action. It would be the biggest national holiday for you in the whole wide year, but a single chance of that rickshaw guy being out on leave would leave your plans desolate and render them with incompletion. 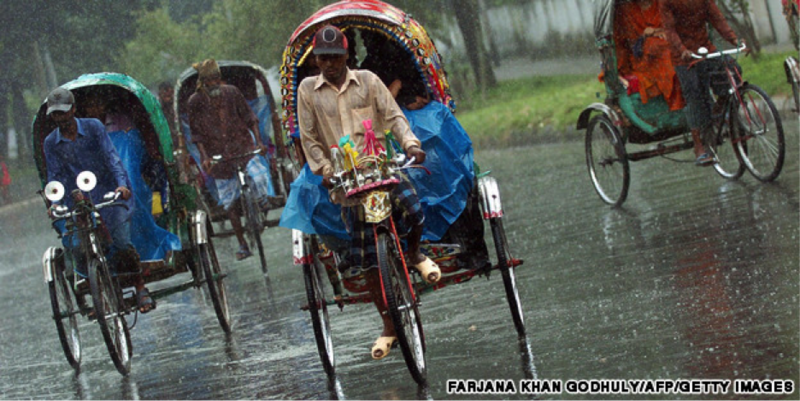 Whether it was the sight of a beaming couple in love riding the cycle rickshaw whilst journeying to the neighborhood market to eat Chaat or holding hands while traveling back from the market place during an outburst of rain, the rickshaw was part legendary, part dutiful but was ever resourceful whatever the need be. It was a given that whilst you were holding onto your romantic pose with your lady love or your better half, either overcoming a heated argument or indulging in a bit of harmless and playful cajoling, that bhaiya peddling you around formed an important part of your everyday charming life. It is quite bemusing to find that without being held responsible for causing any kind of ruckus or disturbance in the socio-economic flow of our life, the cycle rickshaw, the once almighty prudent force of transportation is leading a subjugated existence. With more cars being added each passing year and distances being reduced to the next halt of the metro rail, rickshaws are seen in action only if they are allowed to be used for carrying the passenger to the nearest metro station. Worse, if not, then you would find them painfully crawling as they brave the merciless sun and humid air on the busy, commotion filled roads at the heart of some of the busiest Indian cities. Being in full action with a pace that suggested a happy tide in motion, bringing people all the more closer by seamlessly connecting small cities or towns with an arduous push of the peddle, it remains to be seen what the future holds for an already depleted but charming force in motion?